Hello friends Today, I'm about to share special tips. No one has ever shared that. 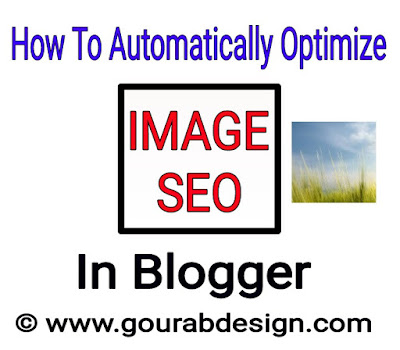 Today's topic is How To Automatically Optimize Images In Blogger For Better SEO . And this is a very unique formula. Knowing which you will be very happy about. I guarantee this. Friends, you know that search engine optimization has to be done to rank every blog website, every single post. Then every post of ours appears in the search engine. If we make a small mistake then our content does not show.But we have to do everything we can to optimize the image. You do not even optimize your search engine. And because of this mistake our post is seen in the first page. But the photos do not look. Every image has to be used alt tag for optimization. But every human has to do this process manually. No longer have to do anything manually from now on. From now on it will be automatically. Meaning photo optimization will be automatic. Friends, if you want to automatically optimize every photo uploading on your website then follow the steps below. ✓ 👉 Search </body> tag.